The 20th International Harp Contest will take place from October 15 – 25, 2018, in the historic Knight’s Halls in the Old City of Akko, chosen by UNESCO as a World Heritage Site. Harpist Yuying Chen from China, 1st Prize Winner of the 19th Contest in 2015, will be the soloist at the festive opening concert on Monday, October 15th in the Akko Auditorium, and the final stage of the contest, the closing concert with the Haifa Symphony Orchestra will be conducted by Maestro Doron Salomon on October 25th. A record number of musicians will participate in this year’s contest: 31 musicians, all under the age of 36, from several countries, including Finland, Italy, Russia, the United States, France, South Africa, China, Serbia, Switzerland, Taiwan, South Korea, Hong Kong, Germany, and Israel. The contest lasts for two weeks and is held in four stages. Of the original group of contestants, 16 will pass to Stage II; 6 will pass to the Semi-Finals and 3 to the Finals. Musical Director of the contest is Ms. Julia Rovinsky, Principal Harpist of the Israel Philharmonic Orchestra. Ms. Catherine Michel (France), an internationally known authority on the harp, who has received many awards for her performance, is the President of the International Jury. The contest is produced by the Harp and Zamir Society, whose General Director is Yossi Frost. The contest was founded by Aharon Zvi Propes and legendary Jerusalem Mayor Teddy Kollek in 1959. At its inception, the harp competition was the first of its kind. Propes, who played a significant cultural role in Israel’s formative years as founder of the Zimriya – the World Assembly of Choirs, The Israel Festival, and the International Harp Contest. Understanding the importance of culture as an essential part of creating identity and community, Propes sought to create an event that would be unique to Israel. 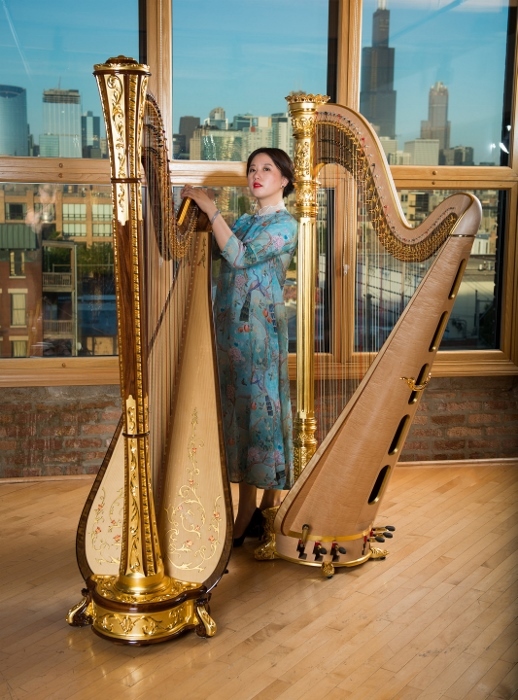 At that time, there was no other international harp competition, and as King David was known for playing the harp, this was a wonderful way to establish a new event that has a deep connection to history and tradition. Zubin Mehta, conductor of the Israel Philharmonic Orchestra, is the honorary president of the contest, which takes place once every three years, with competitors and judges arriving from many countries. At the opening concert YuYing Chen will perform works by Tchaikovsky, Prokofiev, Al Ravin, Chong Wang, and more at the Opening Concert on October 15th. Guest musicians at the concert include Yossi Arenhiem – flute, Sami Chashibun – violin, and the East-West Ethnic Ensemble, conducted by Israel Borochov. The contest encourages the creation of original compositions for the harp, and each contest commissions a new work from an Israeli composer. This year the composition is A Distant Echo, by Joseph Bardanashvili. A special prize, the Propes Prize, will be awarded for the best performance of this work. The full program and additional information may be found on the International Harp Contest website.